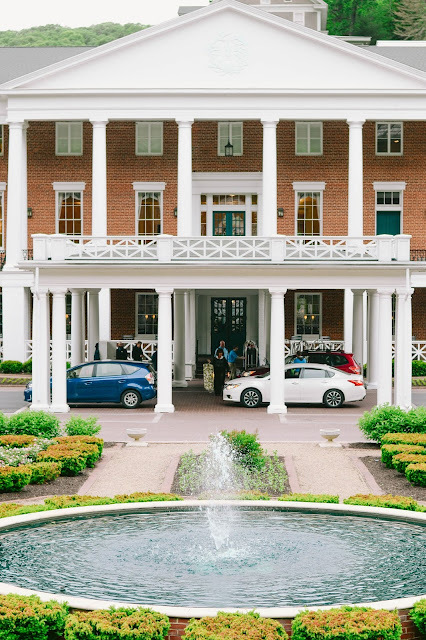 If you follow me on Instagram or Snapchat (SummerWind41490), then you'll know I went on a little trip last week with two of my best girlfriends, Dani and Aly to the Omni Bedford Springs Resort which is a little less than two hours outside of Pittsburgh! I had visited with my parents when I was in high school but hadn't had a chance to go back until now and what a lovely few days it was! It was especially fun becuase Aly had just gotten engaged a few days prior, so it was so fun to flip through wedding magazines and chat all things weddings! 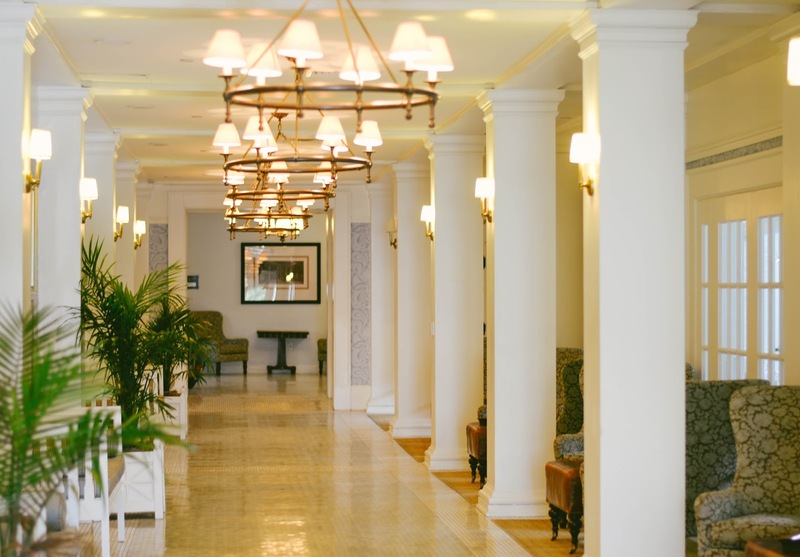 If you aren't familiar, the Omni Bedford Springs is an upscale resort situated on 2200 acres of gorgeous land tucked away right off the Pennsylvania Turnpike, making it centrally located and easy to get to from Manhattan, Philadelphia, Maryland, DC, and especially Pittsburgh! After exiting the turnpike, you only drive a few miles to the entrance of the resort. The quick drive is so scenic because you get to drive right through the charming town of Bedford Springs. We actually had wanted to explore the town a little (check out coffee shops, little boutiques, and bakeries, etc.) but ran out of time... next time!! It's named after the eight springs that were believed to have healing properties. 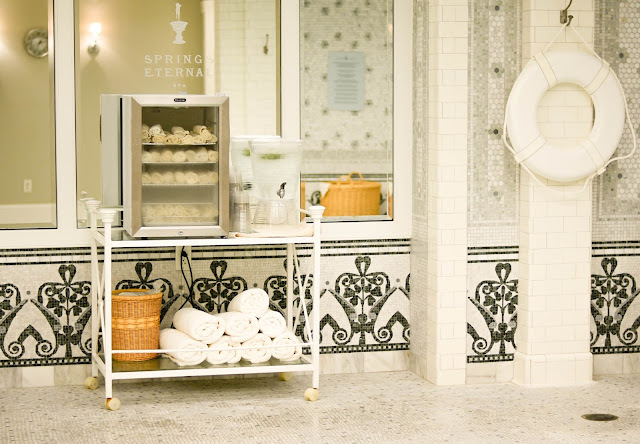 Now, their 30,000 square foot spa uses the mineral water in their treatments. They also have an 18-hole golf course, hiking trails, indoor and outdoor pools (that are gorgeous), tennis courts, fire pits, and five restaurants. We spent one afternoon in the spa. If you visit, you definitely need to check out the spa because it was gorgeous! Even if you aren't getting a treatment, you can still get a 'day pass' and lounge in the area as well as take advantage of the Bedford Bath ritual. We did the ritual many times and it was so relaxing moving from steam to hot water to cold water and then a shower. We arrived in the evening, checked in and headed to our gorgeous room in the spa wing. 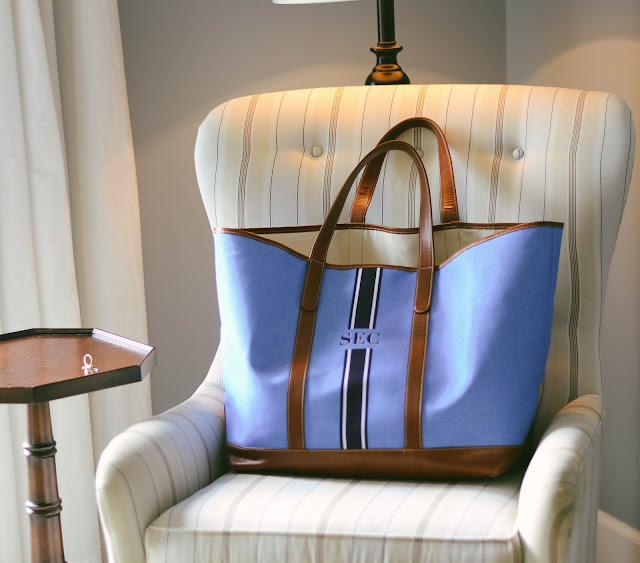 These rooms are located closest to the spa (as the name suggests). Reason being- the 200+ guests rooms are spread out throughout the property/building. The building itself is huge. Exploring the different rooms was one of my favorite parts. After we checked in, we stopped into the Tavern, one of their more casual dining spots to have dinner and watch the Penguins game! The Tavern food was upscale bar-style food that was very good! Our favorite as a whole was their shrimp cocktail, delicious! I also loved that they had avocado toast on the menu! A lot of you had DM'd me on Instagram and Snapchat with some of your favorite memories of visiting the Omni Bedford Springs Resort and SO many of you had let me know you had your own wedding or had been to a wedding on the property... the event spaces are incredible, so if you are looking for somewhere special, this is totally the place! Everything around the resort is so beautifully decorated; no detail was overlooked. 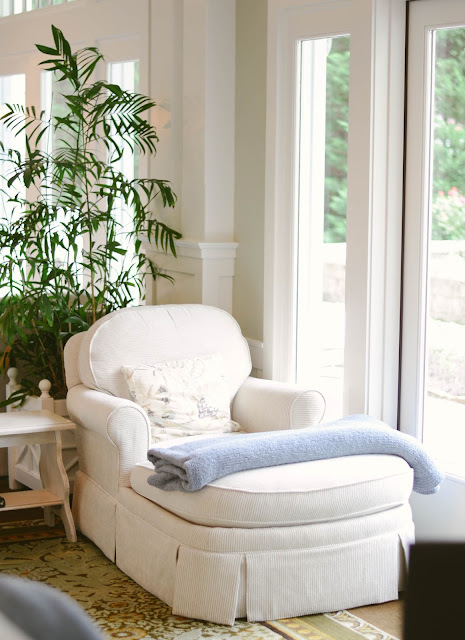 From the many fireplaces to the ample seating areas, to the incredible antique furniture (I wanted to take it all home with me), it came together and created such a warm, cozy, welcoming vibe. It was so easy to feel relaxed and at ease while there...needless to say, we definitely did not want to leave! 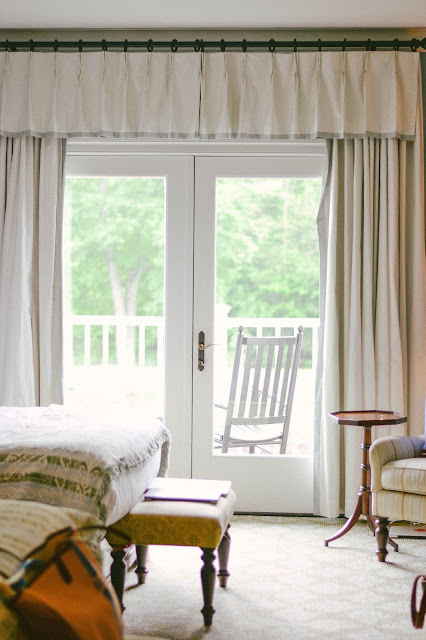 A few of the highlights of our room was that it led out to a deck with rocking chairs. Being able to have cocktails or coffee in the mornings out on the deck is such a game changer! 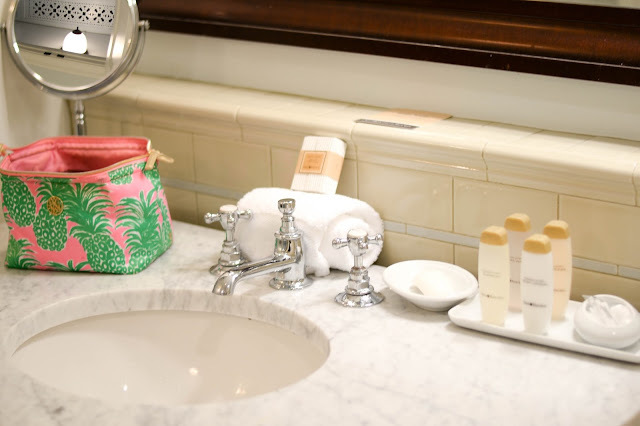 We all also loved the shower because of the rain shower head as well as the bathroom as a whole because it was spacious and even had a vanity area where you could sit down with a mirror to do hair and makeup! I also loved that the resort always smelled so wonderful. It kind of seems like a weird comment, but I know some of you even commented the same thing on my instagram! It's hard to explain but the entire resort just smells calm and your nose will be the first to alert you that you are getting closer and closer to the spa! One of my favorite parts of the trip was actually just wandering around and taking everything in (with a glass of bubbly in hand, nonetheless) because there is so much history... it's a historic landmark after all! 13 presidents have stayed at the resort which was founded in 1796! 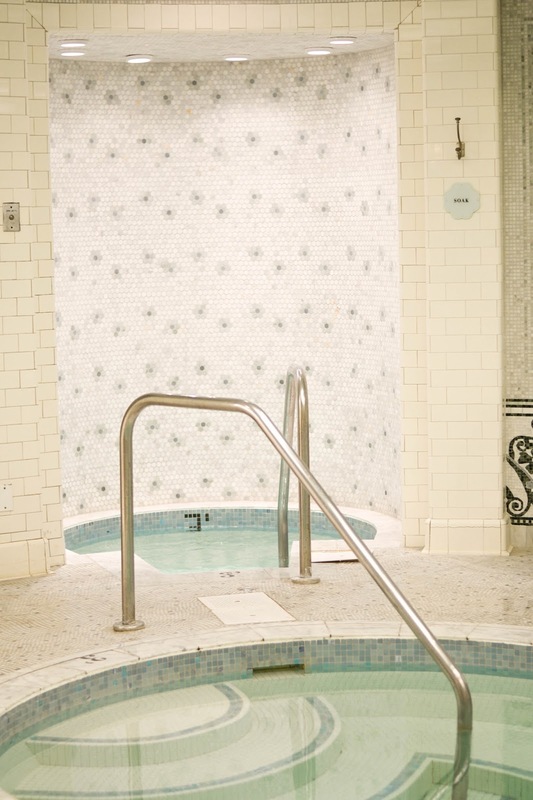 The property's indoor pool was one of the first in the nation back in the early 1900s and was fed by the spring water. In 2007 it underwent a $120 million renovation and reopened to the public (this had happened right before I visited for the first time!). All in all, this trip was so relaxing and I could not recommend the resort more. Immaculately beautiful grounds, an easy to get to location, top rate service, beautiful decor and atmosphere made for such a wonderful getaway! Did everyone have an enjoyable long weekend?! Even though the weather wasn't the best, I had such a great time! From eating at some of my favorite spots to seeing a movie to spending a day at the pool with friends, I really didn't want the weekend to end. But alas, here we are... but it's a 4 day week, so cheers to that! 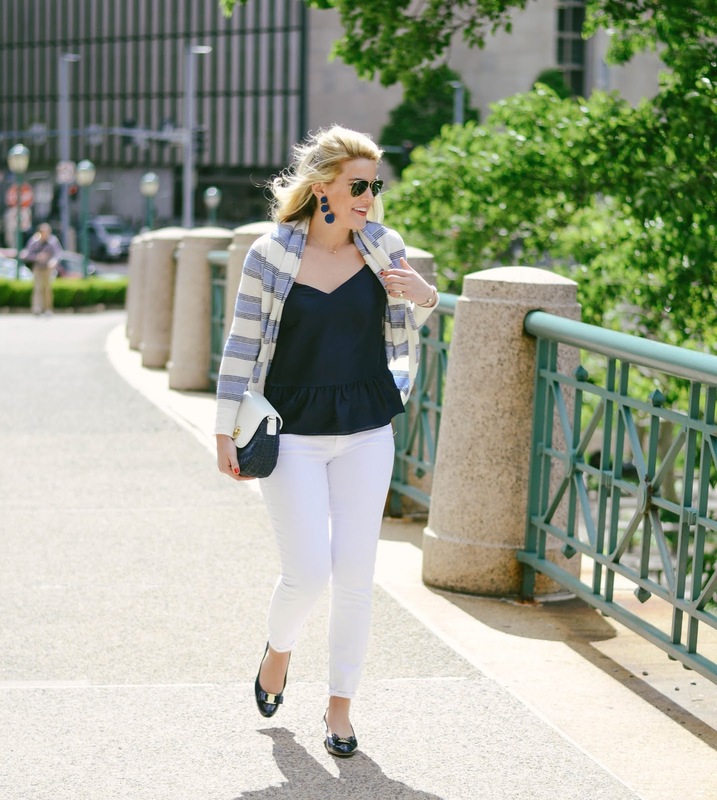 Today I'm sharing this navy blue and white look. A big surprise on the color combo- now that is is (un)officially summer, I'm pretty much always in blue and white. 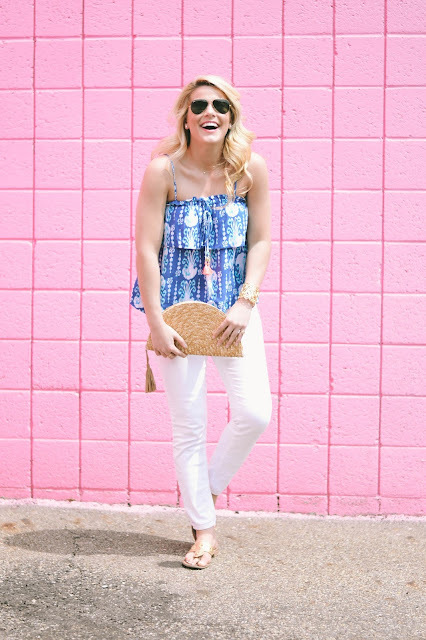 This is a really cute outfit for a fun date night. I'm all about wearing dresses as the temps rise, but I sometimes find a dress to be too fancy for a more casual place. 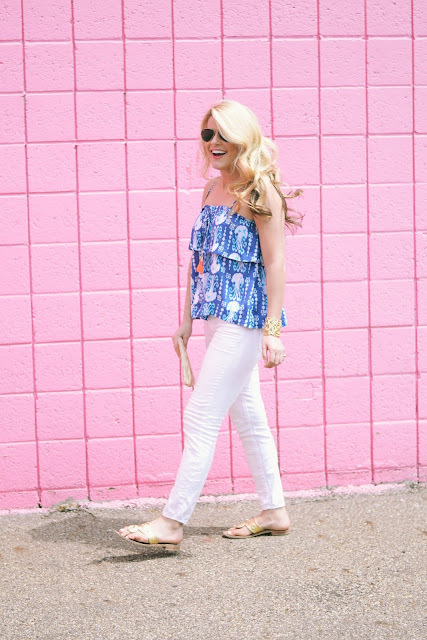 I think there are really easy ways to dress up white jeans, so it's cuter than your day-to-day outfit and more fun for a night out. Case-in-point, I love swapping out my standard diamond or pearl studs and throwing on some statement earrings. The navy ones I am wearing here were sent to me from KEP Designs. If you are not familiar, you will absolutely love all of their darling jewelry. So many colors to choose from! Also, another quick tip: when I am donning a statement earring, I typically do minimal jewelry elsewhere to really let the earrings stand out and make a statement. Currently listening to the Beach Boy's Good Vibrations as I type this and SO excited that Memorial Day weekend is here and it is (un)officially summertime! I really can't believe how fast winter just flew by! It will be fall before we know it, so here's to soaking up all that summer has to offer! The right side bars have been updated in the categories of 'My Wishlist' and 'Under $100'... some really great pieces that are worth checking out! 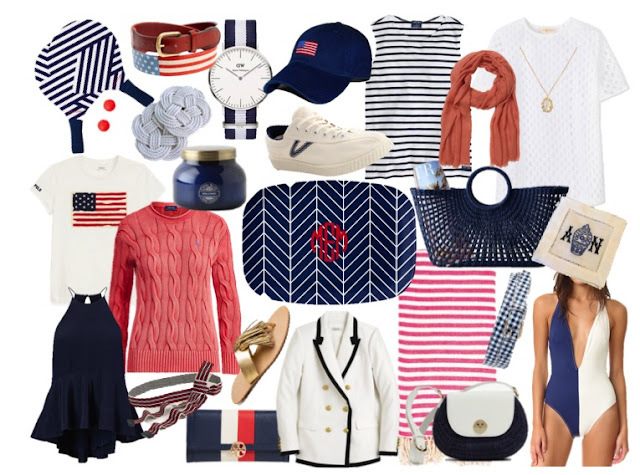 I've also rounded up all of the sales below- as you know, a holiday weekend always brings out some really great sales! You can also scroll through the widget above to see some of the pieces I am loving from the Nordstrom Half-Yearly Sale! Wishing every a safe and happy weekend! Club Monaco// 25% off women's dresses, no code required, new items added to sale, I have this dress and absolutely love it! Madewell// New items added to sale... I love this sweater and these shorts as an adorable weekend outfit. Nordstrom// Half-Yearly Sale, up to 40% off everything, no code needed, see my favorites, here. WOO! We made it to the long weekend, who else is so excited?! I actually had a very easy/relaxing week away (more on that next week), so it's nice to be back in the city. I'm also excited that my parents will be back in town- they have been in Maui and I can't wait to hear about their trip... my mom doesn't do much on social media, but she shocked me and posted Snapchat stories all on her own! Way to go, Mom! I have no set agenda this weekend, but lots of plans that are up-in-the-air and dependent on weather, so we shall see what I get into! Today I'm coming at you with a very colorful outfit balanced out white jeans (what else is new)...but I figured, hey, this weekend is the official start to white jeans if you follow the rule! 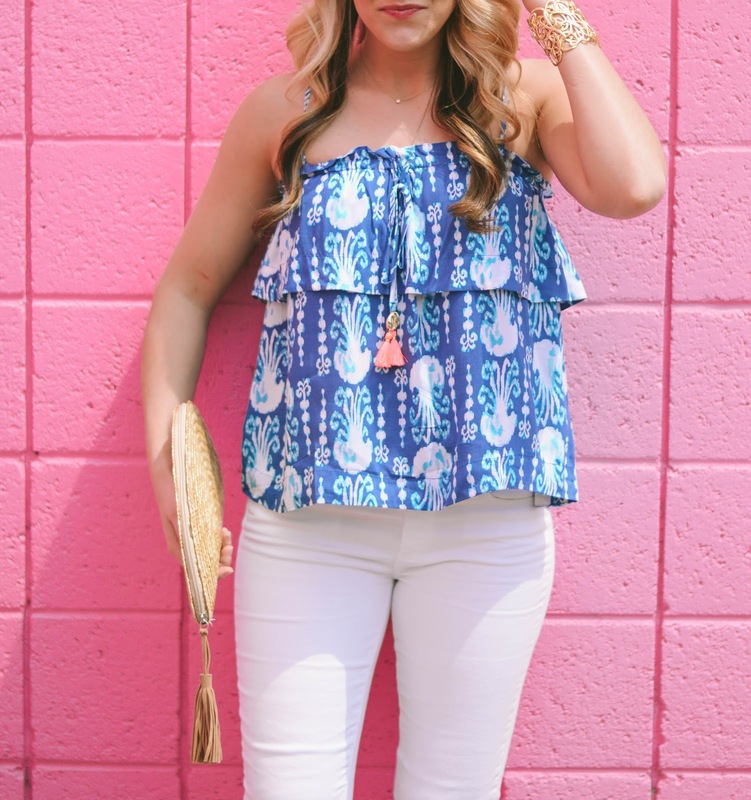 I am just head over heels with this jellyfish print in bright blues... it's such a showstopper, don't you think?! Also, as you all probably know by now, the Nordstrom Half-Yearly sale is going on right now through June 4th. Not to be confused with the Anniversary Sale (in July), the Half-Yearly Sale offers up to 40% off select items. So, I went through all 200+ pages (yes, it took forever) and pulled all of my favorites. You can scroll through the widget above and also read below as to why I love some of the items! Tomorrow I'll share a comprehensive list of all of the sales that are going on throughout this holiday weekend. Some of them are really good! Ferragamo Loafers// These are just gorgeous and about $200 off! Le Creuset Pitcher// Love the blue to double as a vase for hydrangeas! 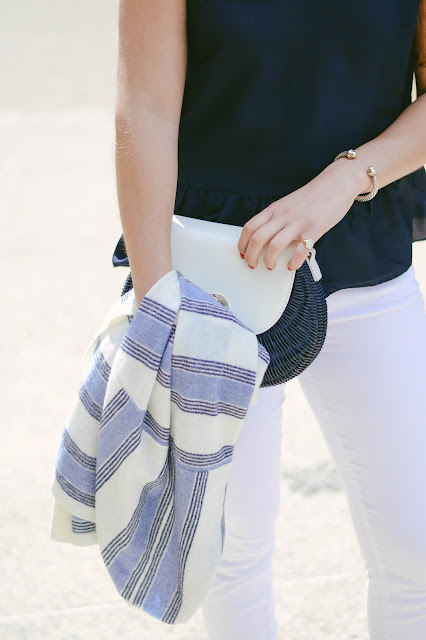 Navy and white striped cashmere// Yes, yes, yes. 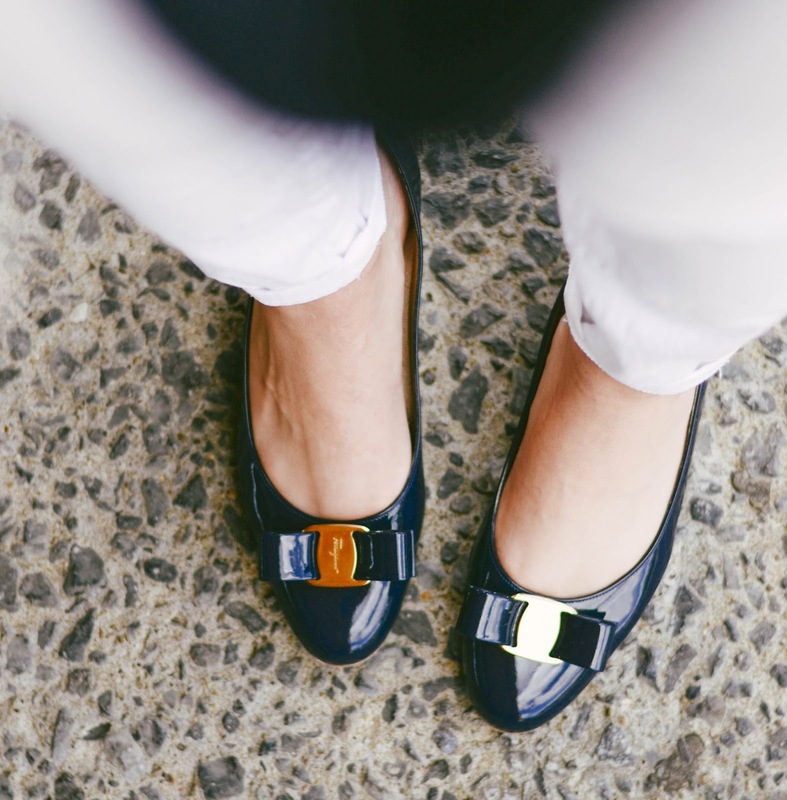 Gorgeous Classic Driving Loafers// I seriously cannot believe these are under $100! Barbour Liner // this is the best- I have it for my Beaufort jacket! Lilly Pulitzer Shift Dress// This is a classic cut and a really fun print! 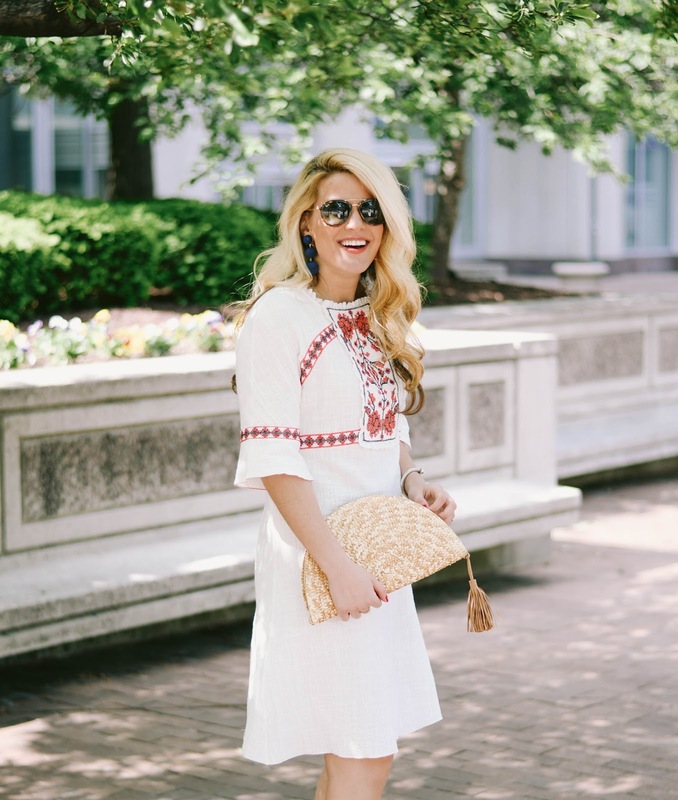 White eyelet dress// perfect for wearing right now and all summer! Donald Robertson Sweatshirt// I seriously didn't even know this existed, omg. 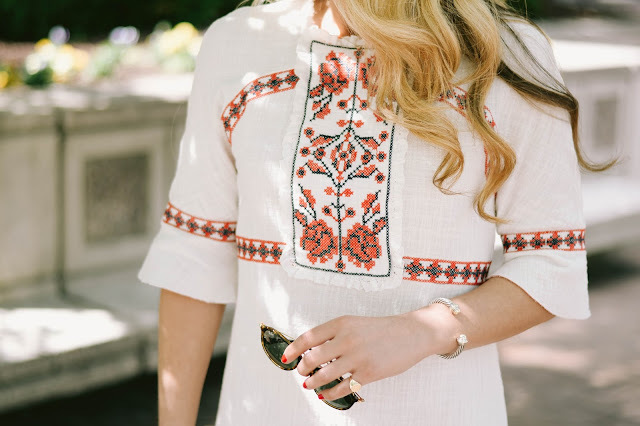 Sweetest shirtdress// I really want this but don't need another dress like this. It's SO cute. Ferragamo bag// Want. Want. Want. Oversized Cashmere Cardigan// Can't decide which color is best, they are both so good! Stunningly Classic Trench Coast// It looks absolutely perfect and it is under $130. Pearl Flats// The black is the best choice for a wardrobe-friendly neutral, however, I am really digging the deep red. Suede Tassel Mules// Definitely a fall item, but they are cute! Jack Rogers Sandals// This is a fun print, but still a neutral! Barbour Flask// Something I never even knew I needed, ha! Riedel Champagne Flutes// I have a set of these and they are great! Stuart Weitzman Nudist Sandals// These are super popular and pretty pricey, but now they are under $250! What a week it has been! 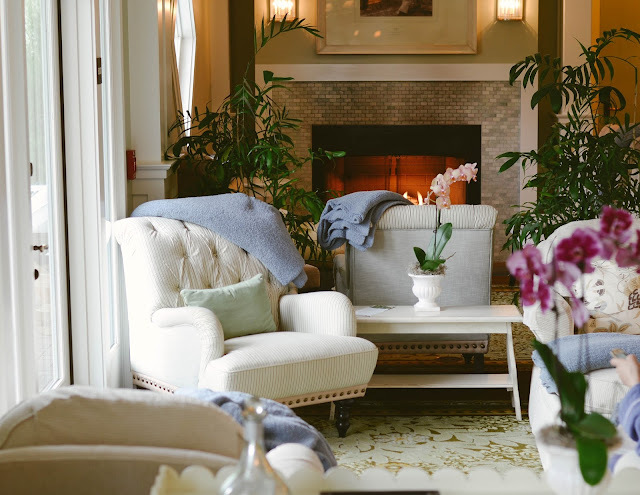 I've been at the Omni Bedford Springs and it has been nothing short of wonderful! I've been spending the time with my friends Aly (brunette in the photos above) and Dani (blonde in the photos above)! Aly just got engaged last weekend and we are all SO excited!!!! It was so hard to keep the secret- I had known for over a month, but she was so surprised and all was a success! These are two snaps from last weekend where we celebrated at Social House! This post is going to have a few more photos than usual- I've been getting better at snapping photos here and there of my weekly life! I hope to give you guys a little more insight each week if I can remember to keep snapping away! Loving: So much love this week! 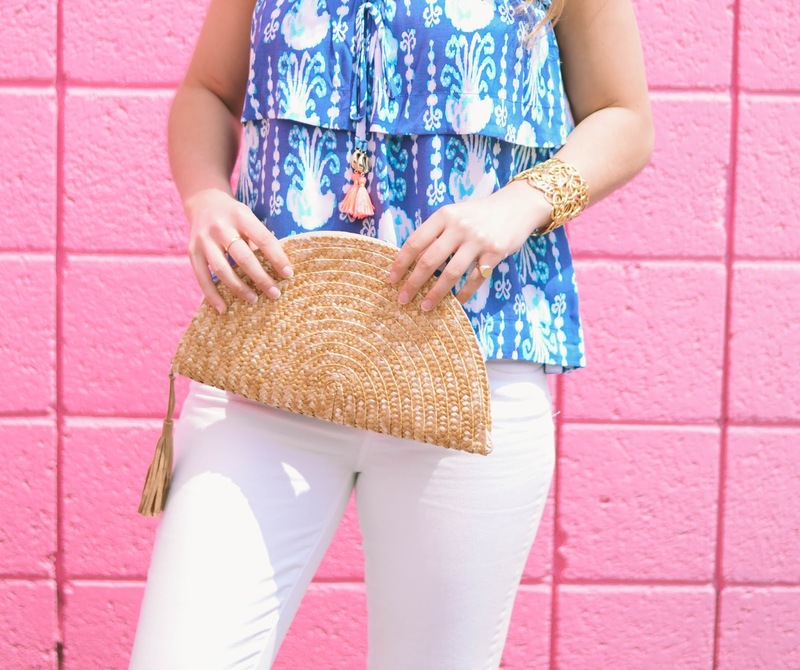 I can't get over all of the gorgeous bright jewelry that has been coming out for summer! I typically wear the same, subtle classic pieces of jewelry every day, but once in a while, I love to mix it up (especially in the summertime!). I love these earrings from KEP Designs and this lapis necklace from Hazen (and omg check out the pearl one, too!!). I've been a fan of KEP Designs for years but Hazen is a new-to-me jewelry brand out of Dallas! Loving II: I was sent these Rodial Nip and Fab products to test out and I was really curious to try them out because they are so different than any other products I have used! My favorite out of all 4 is the glycolic pads. I'm a huge fan of glycolic acid and use it daily by various different brands. These pads are really great and gentle enough to use daily and they're also a lot less pricey than some other glycolic products out there! The bee sting products had me a little nervous at first. You need to put a small bit on your skin to do a patch test to see if you are allergic at first (so you need to be really careful about this). I was totally fine. I didn't see a major difference after a few weeks, but they also didn't make me break out or anything negative, either! Dragon's blood is hyaluronic acid... this is one of the few acids I haven't had much experience with so I was excited about this and it really does work well to keep skin hydrated. I would say it compares to the type of moisture you get from your everyday moisturizer, but it's lightweight once it sinks into your skin. You could definitely wear this under makeup (and what I do!). Loving III: So much love this week! I would not spend this much on a dress, but can we talk about major dress goals? The front is timeless and classic, but the back has a bit of a trendy twist (#partyintheback). Wow. Wanting: You guys, this little lounge set is so not me. But, I really want it. It seems a bit overpriced for what it is, so that's what has held me off, but how COMFORTABLE does that look?! Thoughts??? I'll be back with more favorites in my Saturday Shopping (there are 208 pages, so I am really making sure to go through each and every page and only pull the good stuff for you all!). The sale goes through June 4th, so you have a little while to shop... luckily, for this sale, the sizes don't run out as quickly as the anniversary sale! Pittsburgh-ing: A few weeks ago, I went to NatuRoll Creamery in Lawrenceville and it was SO good. If you aren't familiar, it's just like 10 Below (in NYC)! You first pick your ice cream flavor (choc or vanilla) and then your toppings. They mush it all up (kind of like at Cold Stone) and then spread it out and let it freeze up and then roll it up. I got the s'mores and it was amazing. Couldn't recommend it enough. The portions are absolutely huge, so you could definitely share! Watching: I LOVE Chance the Rapper. 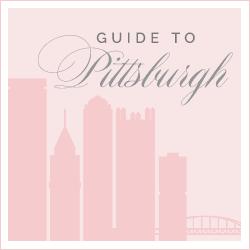 I am SO sad I had to miss his concert this past Saturday in Pittsburgh but this video is AMAZE. It's a must watch if you love Chance!! Listening: You guys, I am DYING over this. Stevie Nicks + Harry Styles singing Landslide. Like, I really can't even. It's arguably one of the best songs of all time, and I have had the biggest crush on Harry Styles for forever... It's SO good. They also did Harry's latest, Two Ghosts, which is so good. Quoting: 'No one is you and that is your power.' // See more of my favorites, here. Thank you to Macy's Max Studio for sponsoring this post. All opinions are my own. 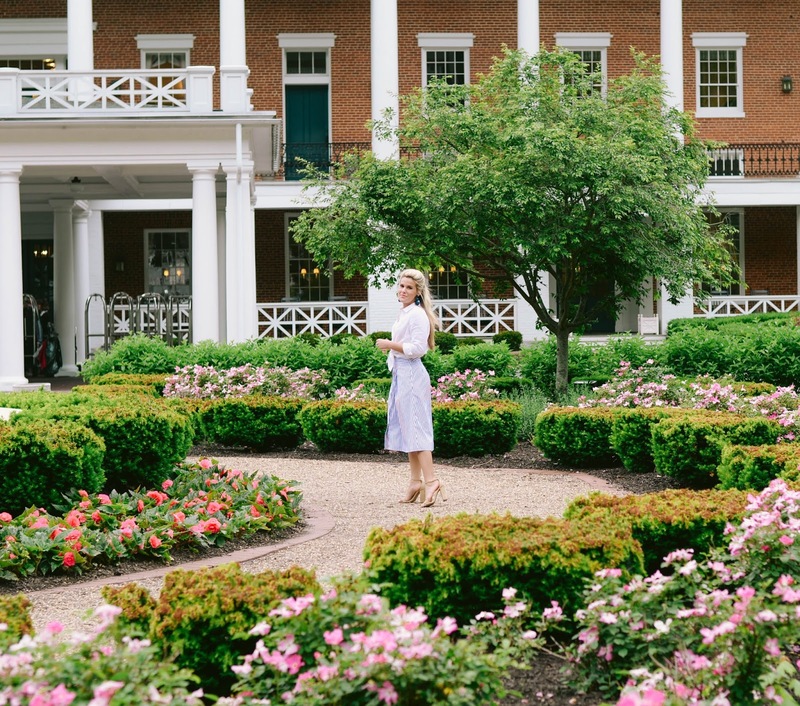 Today I'm sharing this gorgeous dress from Macy's. 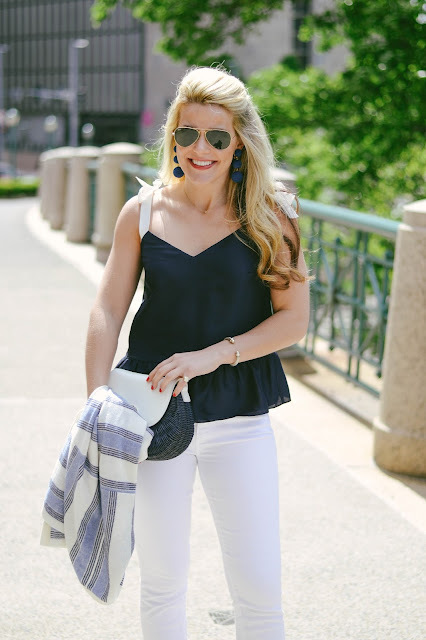 The brand is Max Studio.It's one of Macy's newest brands and it is quickly becoming a favorite because most of the pieces are high quality, sophisticated, and classic (with a touch of trend). Whether you need a great pair of pants, a cute jacket, or a dress for a certain occasion, Max Studio at Macy's is a great option. I bought this dress so I could wear it to a few graduations/graduation parties that I am attending this spring/summer. Does anyone else feel really old when they start attending graduations for guys and gals that you swear were just 9 years old, like yesterday?! It really is crazy to watch how fast children grow up now that I am an adult myself. It really reminds you to cherish the moments and always celebrate the good times... and graduation is certainly a reason to celebrate! I love that this dress is not too dressy (but it can be dressed up if need be!)... graduation parties come in all shapes and sizes so it can be hard to decide what is an appropriate outfit. Each one is different! The dress has the most gorgeous embroidered detail as well as a tiny bit of ruffle that adds a feminine flair. 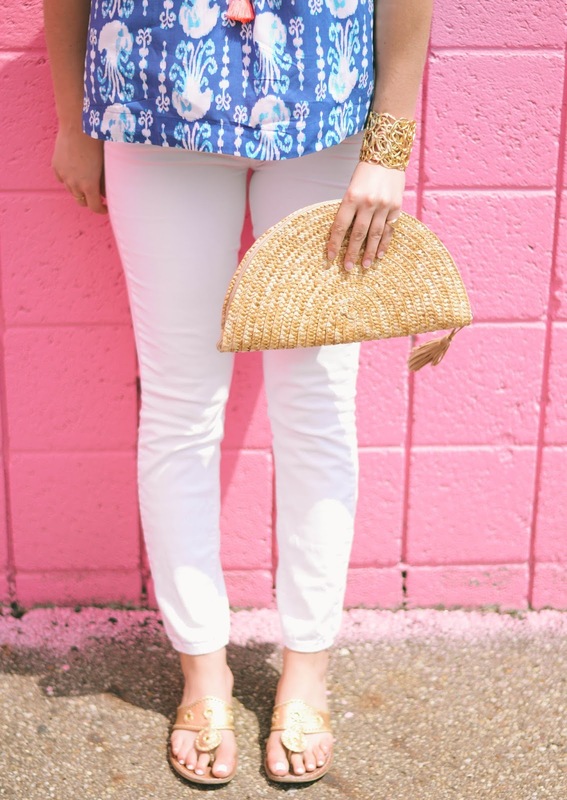 It's an off-white/creamy shade, so you can wear it now and throughout the summer. It also looks phenomenal with a denim jacket and flat sandals for a more casual look (something comfortable and cute for a summer concert, maybe?!). Besides the dress that I am wearing, I'm also loving this striped ruffle top (in navy and white, of course), this neutral flouncy dress, and this blue and white striped blouse. As for sizing, in my experience, the pieces run a bit big so I would suggest sizing down one size! Does anyone else have a lot of graduation parties on their schedule this year? Wishing all of the 2017 graduates the best of luck and success. It's such an exciting time in life, so enjoy every moment and never stop working hard!